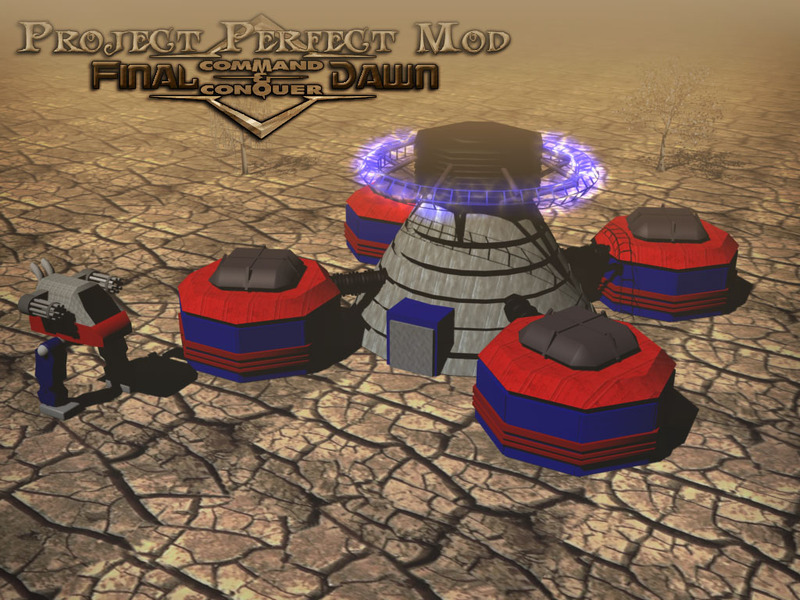 Project Perfect Mod :: View topic - PPM: Final Dawn showing something to the public? Nonsense! PPM: Final Dawn showing something to the public? Nonsense! Posted: Thu Oct 07, 2004 12:10 am Post subject: PPM: Final Dawn showing something to the public? Nonsense! Golly good gosh its true! Final Dawn is alive... and... for sticking with us this long, "WHAT DO WE HAVE FOR THEM JOHNY?" Well Sk8erkid, locked up in our slave chambers the nice hard working kids like yourself (if you don't have a clue what I am talking about the mind washing works) have wipped up this nice wallpaper! And its yours to own for only $19.95..... Anyone? 5.99? 50 cents? Alright what the hey. It's yours! If anyone wants a 800x600 I have it and will post when needed. - Energy Complex, the building that produces power for the Cyborg army. And... the trees are... an accident that Sk8erkid added . Nice. I like. Can't wait for the mod to be finished. I thought more people would be interested to see this. If you dont show enough of your mod, people will loose interest..
huh this is still been worked on? The assassin still needs a lot of work. Nice powerplant. The blueish ring is very nice. need a voxel of that mech? Reminds me of what I've just read in the DEN...the ZH TC mod Rise of the Reds, which focuses more on developing the mod than on publicity...unlike Derelict Studios! Location: Floating along the river Stix, just about inside Hades but not quite there. Tiberian Sun Hidden Shadows Mod Leader and Overlord of PPM. Bow down and repent to your master. And go bake me some cookies! Ops.... Sk8er... you need to upload them, again! Sorry Venom, last month, the old server lost our data twice. But the current server ownz and won't loose data anymore, since it's fully owned by Revora people. alright, re-uploaded. Maybe ill show some ingame crap soon? Hopefully . My vacations are arriving in the next weeks, so i'll definitelly have a lot of time to work in this mod. Just what I did with Return of the Dawn, and it worked. As long as you get it done one day I'm sure we'll all be happy. We just want the new side coding .